A soldier who lost his leg while serving in the military teaches his daughter's bully a lesson. 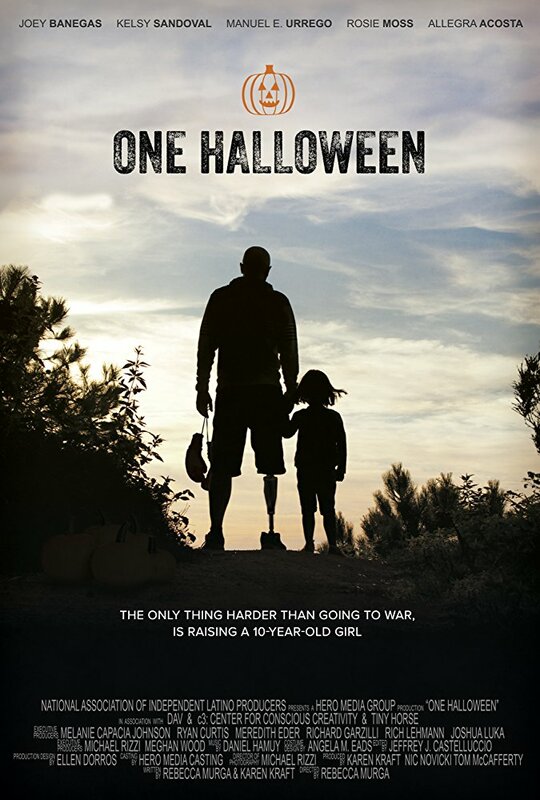 Veterans in Film & Television have partnered with The National Association of Latino Independent Producers (NALIP) to support writer/director Rebecca Murga and her short film "One Halloween," a touching tale of a former soldier and his child. Murga is an Army combat veteran who served in Iraq and Afghanistan and wanted to make a short film starring actual disabled combat veterans. Here, we get an interesting and unique look at life after combat through the eyes of one father, played by Joey Banegas. This short touches on his post-traumatic stress disorder and how he must try to reconnect with his family, especially his 10-year-old daughter, post-war. It also details the stresses of coming home and attempting to reintegrate his life back into some sense of normalcy. This is a short filled with both humor and heart, and it goes places we didn't expect. We really enjoyed watching it. We loved seeing a man who lost his leg in the war along with his fellow soldiers find a way to use their situation to teach some mouthy kids a lesson on Halloween. It's actually pretty perfect for this time of year, but more importantly, it shows how those impacted by combat must try to move forward from their experiences and learn to love themselves and others all over again. We commend director Rebecca Murga for her efforts. She has a tremendous flair for writing and working behind the camera! To see the trailer for "One Halloween," click here.